In our opinion, celebrities are beauty experts in their own right. They rely on only the most effective products, given they’re constantly in the public eye (if you think flaky mascara or perennially dry skin is annoying, try dealing with it on camera). Plus, they spend ample time in the presence of some of the industry’s top makeup and skincare experts, which results in some pretty epic beauty tips and tricks—believe us. So, clearly, we take note when they recommend a product. When more than one celeb uses the same one, however, we rush to buy it. Especially when (get ready) it’s a drugstore product. According to InStyle, that’s the case with a somewhat under-the-radar moisturiser that’s quietly trending in the celebrity sphere. The all-natural, skin-quenching formula has made fans out of the likes of Victoria Beckham, Adele, Julia Roberts, Rosie Huntington-Whitely and Rihanna. 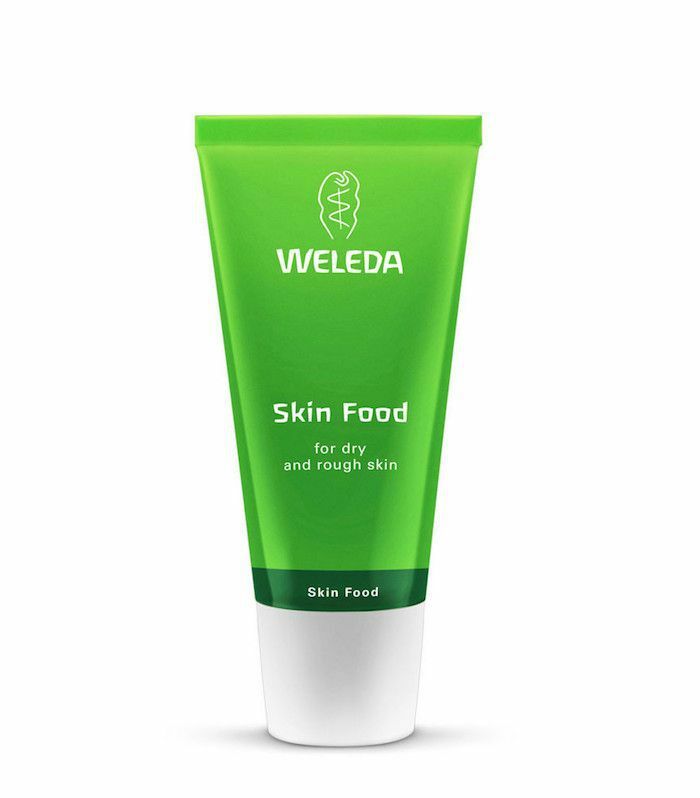 And the winning moisturiser is… Weleda Skin Food (£13). Its ingredients are sustainably sourced and 100% natural. Pansy flower and rosemary leaf extract soothe skin and gently treat skin conditions like acne and eczema, due to their natural antiseptic qualities. Organic sunflower seed oil plumps skin with fatty acids and vitamin E, while calendula and chamomile calm irritation. Finally, sweet almond oil makes for an extra nourishing and particularly smooth application. Rosie Huntington-Whitely is also a fan, as Hello Magazine reports. The supermodel shared it a well-used tube of the stuff on her Instagram feed earlier this year, and Victoria Beckham told Into the Gloss that she uses the cream all over her body. “What I love about it is that it’s not particularly expensive and you can find it anywhere. The formula is so thick and buttery,” she told them. ”When I have a tan, I’ll mix it with coconut oil—the same you use to cook with—and cover my entire body with it.” Okay, we’re stocking up for sure. Shop more multi-purpose balms team Byrdie loves. Not just Insta fodder, this multi-purpose balm is great for treating dry skin and added a dewy look to your complexion. A backstage staple this has so many uses including taming frizz and masquerading as a primer. 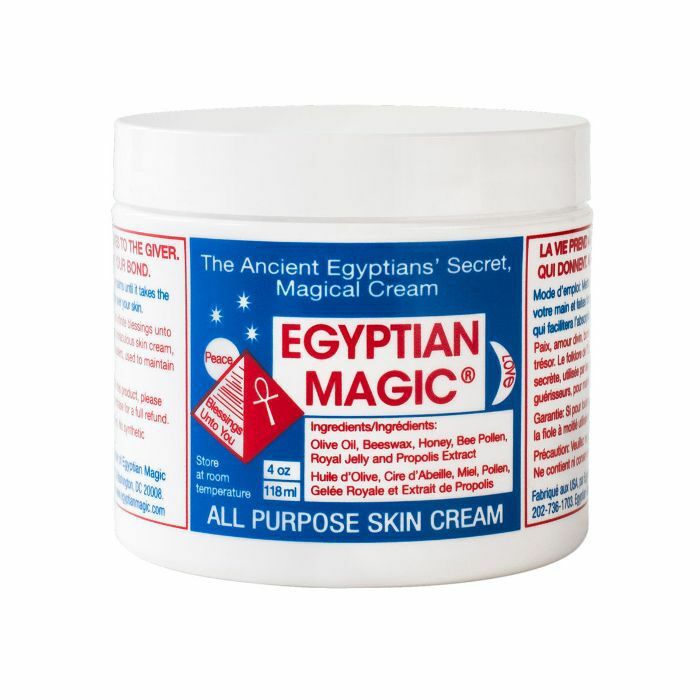 This cult classic balm has been soothing skin for decades and if you haven't tried it yet, do. Want to know what products Meghan Markle uses? We have the scoop, of course.